A decade earlier, ten-year-old Tasa dreams of someday playing her violin like Paganini. To continue her schooling, she leaves her family for a nearby town, joining older cousin Danik at a private Catholic academy where her musical talent flourishes despite escalating political tension. But when the war breaks out and the eastern swath of Poland falls under Soviet control, Tasa's relatives become Communist targets, her new tender relationship is imperiled, and the family's secure world unravels. 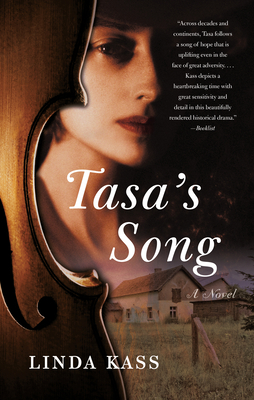 From a peaceful village in eastern Poland to a partitioned post-war Vienna, from a promising childhood to a year living underground, Tasa's Song celebrates the bonds of love, the power of memory, the solace of music, and the enduring strength of the human spirit.